Posted on October 24, 2018 by Andy Higgs in Features, Places, USA. 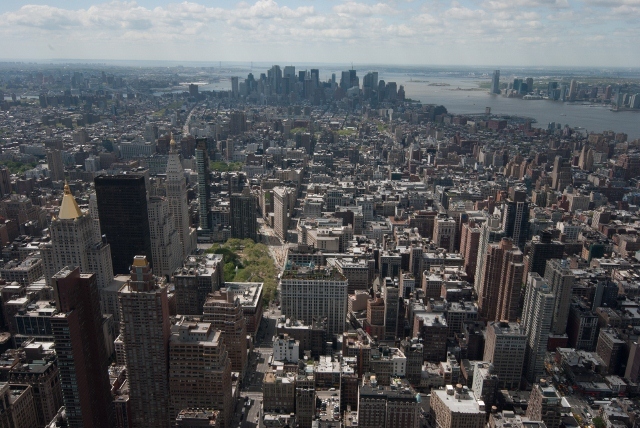 So you still haven’t visited the Big Apple? Don’t make the mistake I did and keep putting it off, anytime is the right time for New York City. To get the best possible value you should check out Groupon. The coupon company now offers deals on many of the biggest names in travel – including Travelocity, Orbitz, Expedia and Hotels.com. Make sure you get some fabulous photographs to show off to friends and family on your return. When you do, you need to make sure they don’t stay hidden on your hard drive – why not display your favorite photos with sharp acrylic prints? Not only is the Brooklyn Bridge an instantly recognizable New York icon, a photograph taken from the Brooklyn side will allow you to include the Manhattan waterfront and skyline for perhaps the ultimate cityscape. Where should I take the shot? 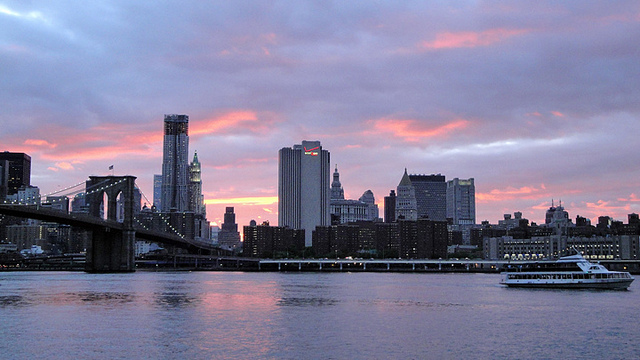 Here we are concentrating on the widest view; so for our purposes Brooklyn Bridge Park is ideal. An ultrawide-angle lens will allow you to include the entire bridge in your composition so is probably your best bet. If you want to shoot at night or are keen to achieve the sharpest image possible then a tripod should be considered. A polarizing filter is good if shooting during the day. The classic answer rings true here – the “blue hour” just after sunset will give you fantastic light for your picture – but you’d be hard pressed to get a bad photo of such a scene. Hopefully the repairs will have been finished when you visit – the bridge was covered in tarpaulin when I was there which rather ruined the effect. Grand Central Terminal opened in 1913 and its exquisitely painted ceiling has to be seen to be believed. 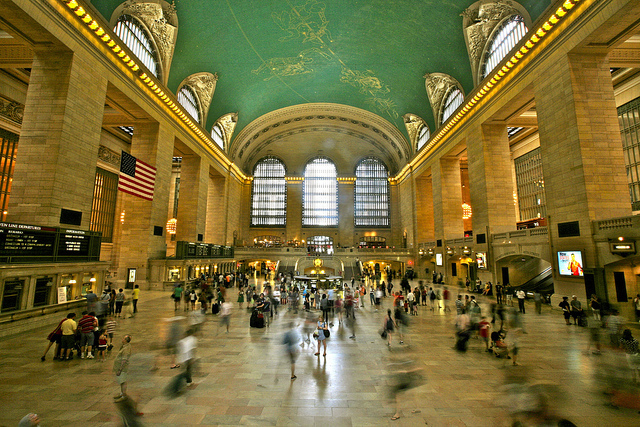 Given the amount of people rushing through the main concourse a photograph here captures the bustle of modern New York against a backdrop of flamboyant architecture – for the best results try to include the blur of the crowds hurrying through. Find a spot in the Upper Level main concourse and wait for a Kodak moment – it shouldn’t too long. Again I would recommend going ultrawide so as to capture the scale of the place. Use a slow shutter speed to blur movement but you’ll have to rely on steady hands unless you obtain a permit to use a tripod, which is compulsory. The morning rush hours is best – not only are the crowds at their most intense but the sunlight streams through the huge windows providing excellent natural lighting too. For many people the Statue of Liberty is the symbol of New York City – and one of its absolute “must-see” attractions. 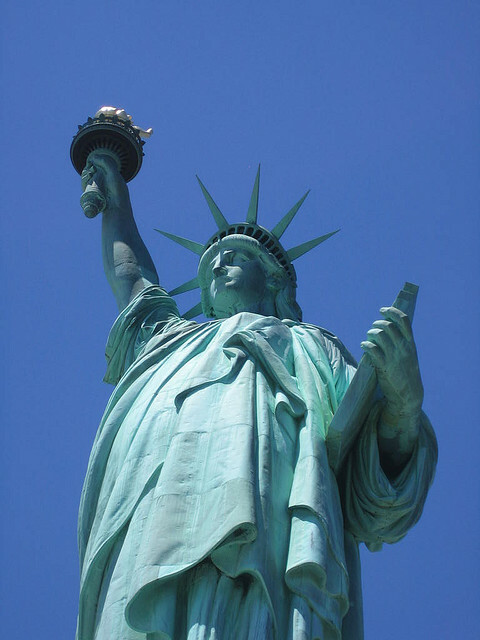 Indeed more than 15,000 people visit Liberty Island each day with 3,000 obtaining passes to the Statue itself. There are a myriad of potential photographic angles but here we’ll focus on shooting from the base of the pedestal. Looking up at the Statue of Liberty from a vantage point at the base of the pedestal allows for great contrast with the sky in the background. You will hardly be surprised when I suggest an ultrawide-angle lens again – you’ll fit the entire subject in the frame and the exaggerated perspective makes it look even bigger. As you are not permitted to bring bags into the statue you may prefer to fit your camera with a super zoom lens instead to give you a ‘one size fits all’ solution. A polarizing filter helps to darken the sky and increase contrast. The time of your visit may be dictated by the tickets you have bought in advance; in any case you’ll get a great shot no matter when you get there. Just make sure you come prepared for the weather. It’s yet another New York icon and one of the world’s first skyscrapers. It is also rather mind-boggling in its unique triangular design. 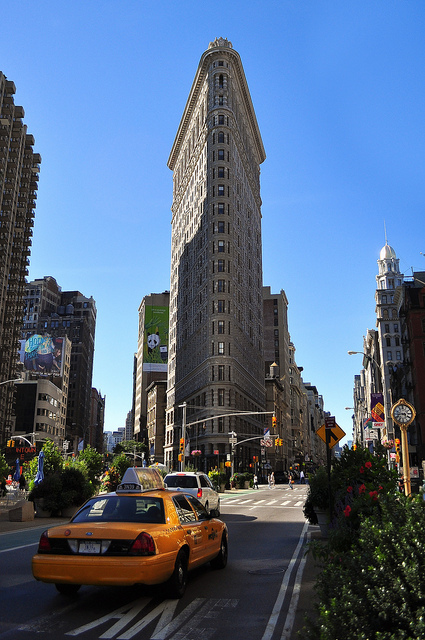 You’ll get a great photo op from the junction of 23rd Street and Fifth Avenue. Guess what? I’d go ultrawide-angle. Having said that, the distortion will be severe and will make the already extreme angles of the building even more pronounced, so you may want to use a standard zoom as well. I’d definitely recommend a polarizing filter too, especially when the sky is blue. Early morning and late afternoon light will give you the best results. Central Park is New York’s oasis of green calm right in the middle of Manhattan – calm despite being visited by over 25 million people each year due to its vast size and miles of paths. The contrast between the parkland and the surrounding skyscrapers makes for great images too. 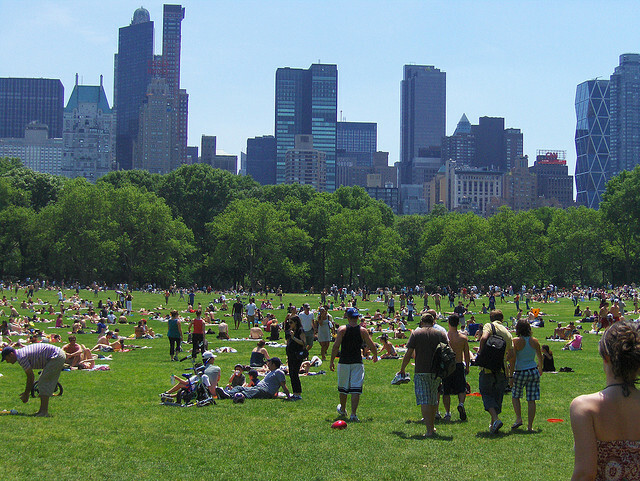 Originally a military parade ground, Sheep Meadow (yes, it really did have sheep once) is an excellent place to set up your shot with the Manhattan skyline looming over the wide open space of the park in the foreground. Here you can get by with a standard zoom or go ultrawide if you prefer. You can experiment with a range of lenses and a tripod if you so desire as there are no restrictions on the equipment you can bring with you. Again, a polarizing filter will be your friend on sunny days. Aside from the photographer’s standard answer of sunrise/sunset the park is beautiful all day long – and winter would make your shots stand out from the rest. It’s one of New York’s highest buildings and an Art Deco masterpiece. Quite apart from the staggering views and beautiful lobby the skyscraper is something of a movie star, having appeared in more than 90 films. We’re all about the observation deck for this article – although the building itself is great from ground-level too. The deck on the 86th floor is perhaps best as it is open-air, although the enclosed one at level 102 is less crowded (but costs extra). You just have to use an ultrawide-angle lens here, so as to capture as much of the city as possible – and boost the vertiginous effect of looking down from the top. A standard zoom will allow you to focus on smaller sections at a time so is also worth bringing. You cannot bring a tripod, so that’s one less piece of equipment to carry. You can’t really beat sunset and the hour afterwards as the city lights up far below. The first lifts go up at 8 a.m. which is also a good time for taking photos – and the queues are far shorter. At either of these times you should remember it can be cold outside on the 86th floor so wrap up warm or pay the extra for the indoor viewpoint.